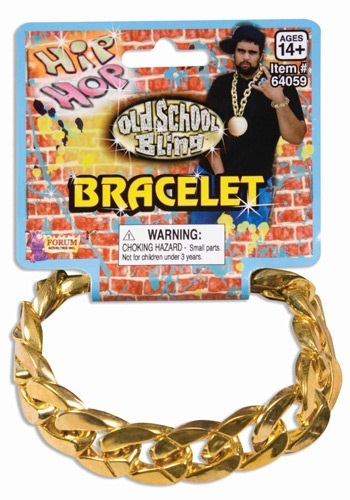 Gold Chain Link Bracelet By: Forum Novelties, Inc for the 2015 Costume season. So, you're broke. You've been waiting around for that record deal opportunity to get your hip hop career on track, but it just hasn't happened yet. As much as you'd like to rock gold and ice, it just isn't in your budget yet. This bracelet lets you at least look like you're rocking the gold, but a fraction of the price of the real thing.